Turturro stars in the film as Fioravante, a withdrawn part time florist who economic circumstances force him to seek help from Murray (Woody Allen), his favorite local bookshop owner. But the shop is closing, and Murray finds himself in the same financial difficulties. The two hatch a plan for Fioravante to become a gigolo, and Murray to become his pimp…er, representative. John Michael Turturro was born in Brooklyn in the late 1950s, majored in the Theatre Arts through the State University of New York, and received an MFA at the Yale School of Drama. After debuting in a non-speaking part in Martin Scorsese’s “Raging Bull,” Turturro went on to portray a litany of memorable movie characters, including in films as diverse as “Do the Right Thing,” “Miller’s Crossing,” “The Big Lebowski,” “Quiz Show” and “Mr. Deeds.” The prolific actor has also written and directed four other films, with “Fading Gigolo” being his fifth effort. HollywoodChicago.com sat down with Barton Fink, Herbie Stempel, Pino, Jesus Quintana and Pete Hogwallop, all who were embodied by John Turturro. HollywoodChicago.com: The title of ‘Fading Gigolo’ is someone opposite for the journey of your character. What did you know you wanted Fioravante to learn before you mapped out the story? John Turturro: I used ‘fading’ because I was thinking about all those things in life that we push off or stave off – death, old age, a poster that fades and even the bookstores and little businesses that are going away. Places in which you knew the people and could have some interchange, these chains are taking away everything. And that was the impetus for them to go into the gigolo business. People have to reinvent themselves, we all come up against it. It’s about picking yourself off the mat. It’s also about the idea that we’re never too old to get past a high school experience of meeting someone for the first time and sleeping with them. Maybe doing something that you’ve never done before. HollywoodChicago.com: We’re all born with an inherent and distinct sexual instinct, pretty much like a fingerprint in each individual. As an actor, is it possible to feel a different instinct through the character or are you just filtering your own experience into that role? Turturro: You can channel your own stuff in the quiet moments, since my character is more of a taciturn man. When I do a character, I can make a list of what I have in common with him, and what I don’t have in common with him. I don’t write it down any more, it’s a mental thing – for example I’m much more chatty than Fioravante. But it’s Woody making the jokes in the film, and I wanted to have a balance to that, but it was tricky because I wanted Fioravante to make a joke occasionally as well. But some people just don’t present themselves in that way until they get to know you. As far as what I am feeling as the character, I set up the situation, and even though I’d written it I still had to see what happened between me and the other character. Some people you can have fun with, some you can be attracted to and with some you can have great chemistry – it’s all about what is in their nature that touches you. HollywoodChicago.com: You have Woody Allen in a Woody Allen-esque film, yet he was decidedly different than the characters he has created for himself. What day on the set made you smile the most when you observed Woody Allen, the actor, interpreting the character you created? 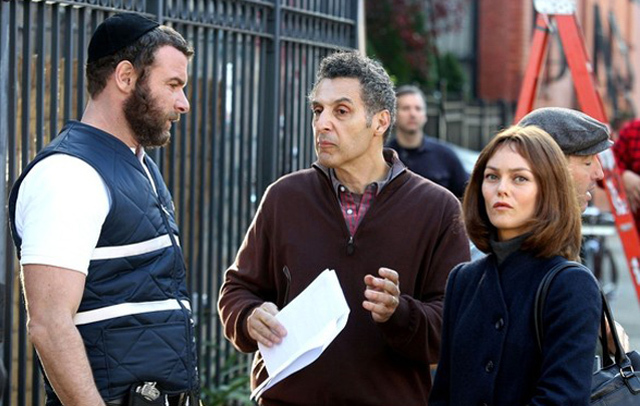 Turturro: After years of showing him drafts, having him make suggestions and even working in a theater piece with him, we FINALLY got him out of his khaki pants. [laughs] It was huge. We told him he couldn’t wear those pants. Of course we had to wash his dark wardrobe pants many many times to get them soft enough for him. He also wore a black jacket, he never wears that in his movies. HollywoodChicago.com: Did you enjoy just watching him act? Turturro: He’s quite something to play opposite of, because he is a terrific actor. He’s very underestimated – he’s done broad comedy, he’s been romantic, but he also has surprised us with the empathetic character Broadway Danny Rose. I tried to keep all of that in mind, and he ended up being very easy to direct. HollywoodChicago.com: This film is an interesting exploration in proclaiming yourself a certain way, and then achieving that self by following through on the soul of a gigolo. What did you learn about yourself in making everyday life a little more special while producing this film? Turturro: The film was all about the details, and sometimes to do something delicate like making flower arrangement [Turturro’s character is a florist] or make a meal, you can see what effect that has on another person and how powerful that can be. All of us have our own sexuality or individuality – and it’s always represented – but it’s not all that riveting all the time. HollywoodChicago.com: The film is overtly understanding the Jewish themes, although you were raised Roman Catholic. What fascinates you about the ritual of Judaism, especially in the context of judgement as you used it in the film? HollywoodChicago.com: Because you grew up Catholic, that’s why! HollywoodChicago.com: It was also interesting that you put Woody into that extreme Hasidic situation, because although he’s commented on his Judaism in his films, it wasn’t as overt as what he went through in your film. 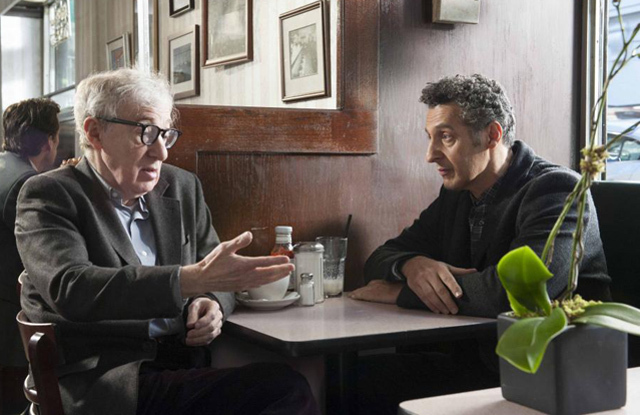 Turturro: When he knew I was doing research on the sect, he said [Turturro does a Woody Allen imitation] ‘you’re talking to these people?’ He was scared to death about it. I wanted to incorporate it and I wanted to give it a fair hearing. HollywoodChicago.com: If a future archeologist were to find a box of your entire filmography and a working DVD player 200 years from now, which film do you think that person will finally watch the most times, just because of how it eventually alters their consciousness?